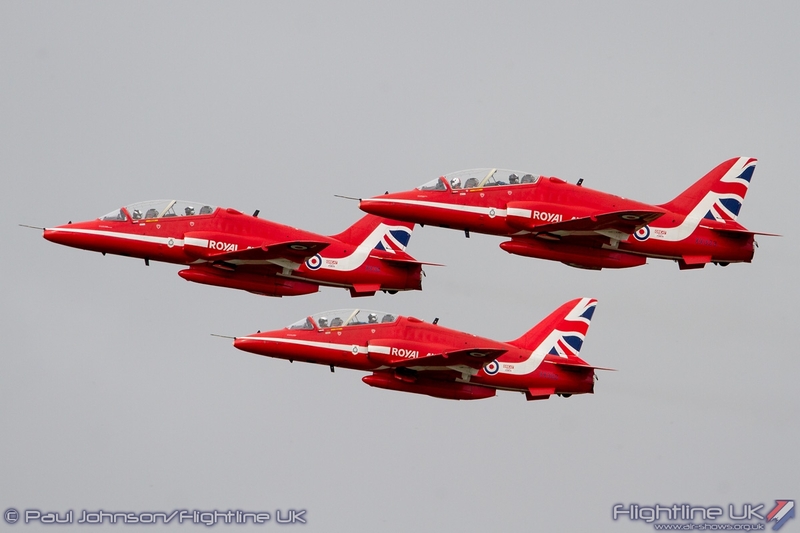 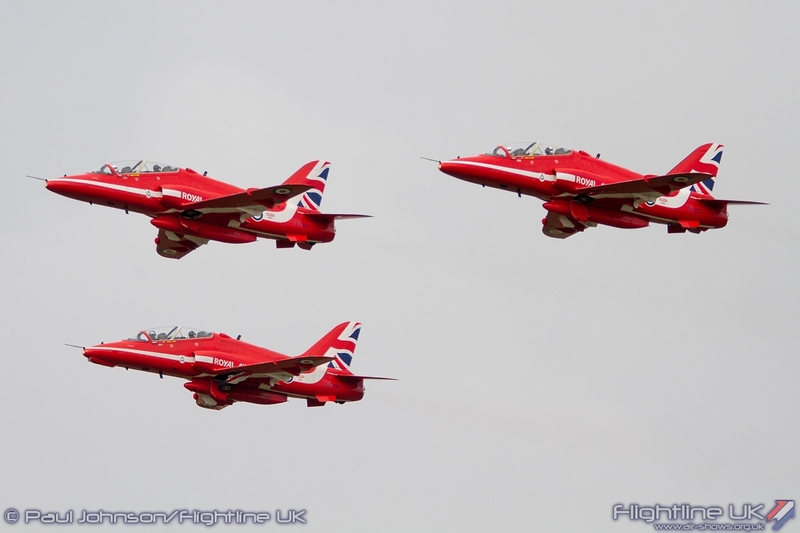 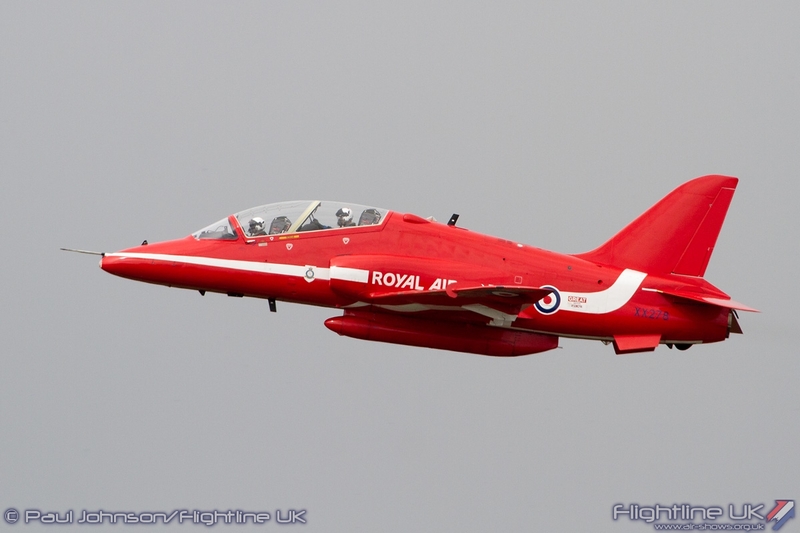 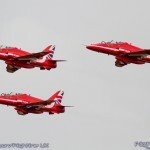 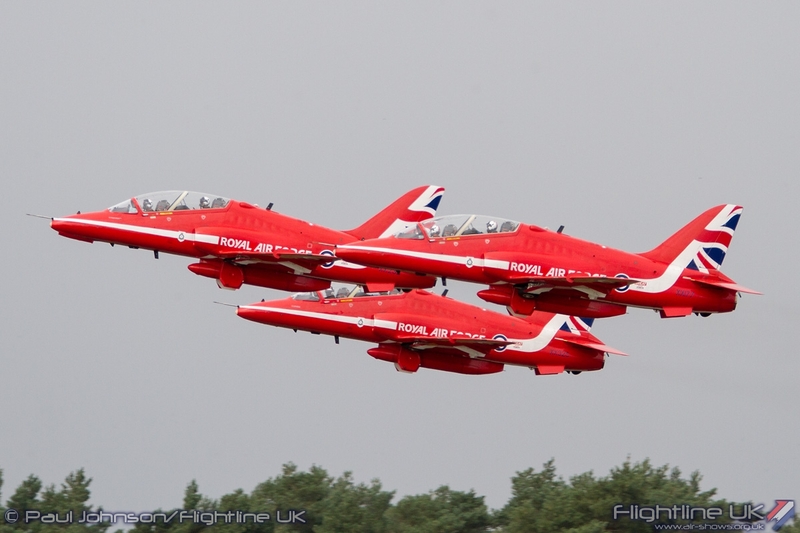 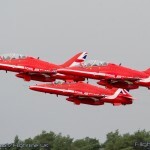 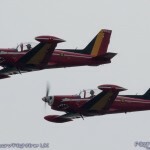 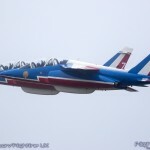 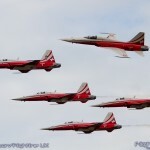 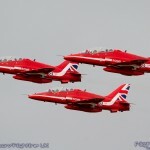 Saturday was another day of rehearsals for the Sanicole Airshow. 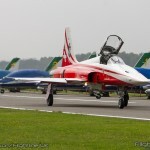 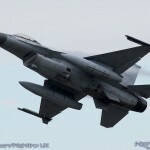 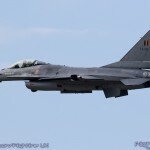 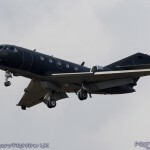 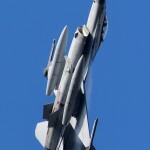 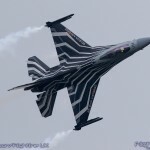 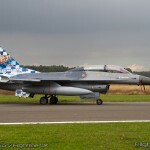 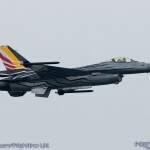 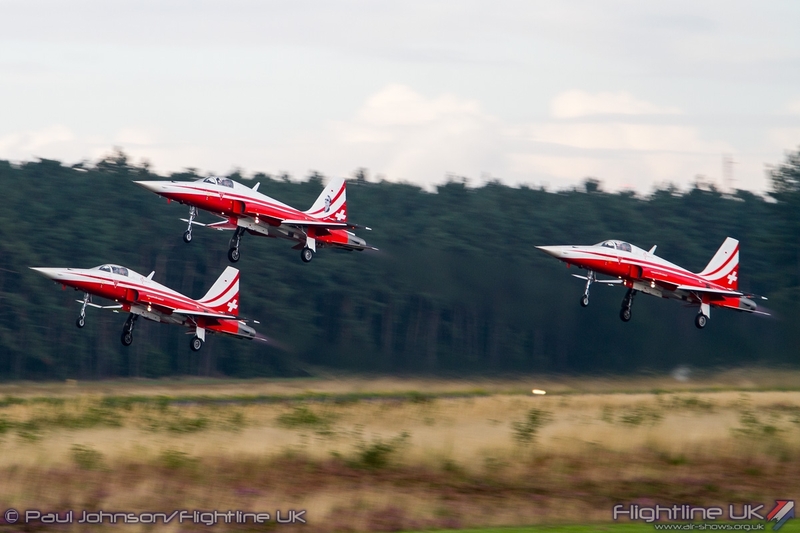 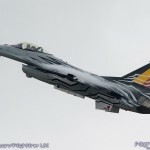 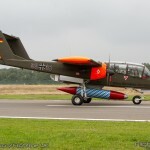 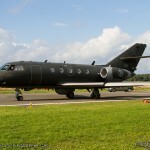 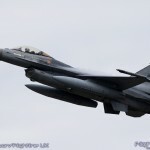 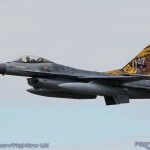 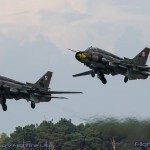 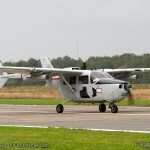 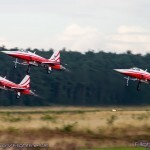 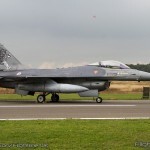 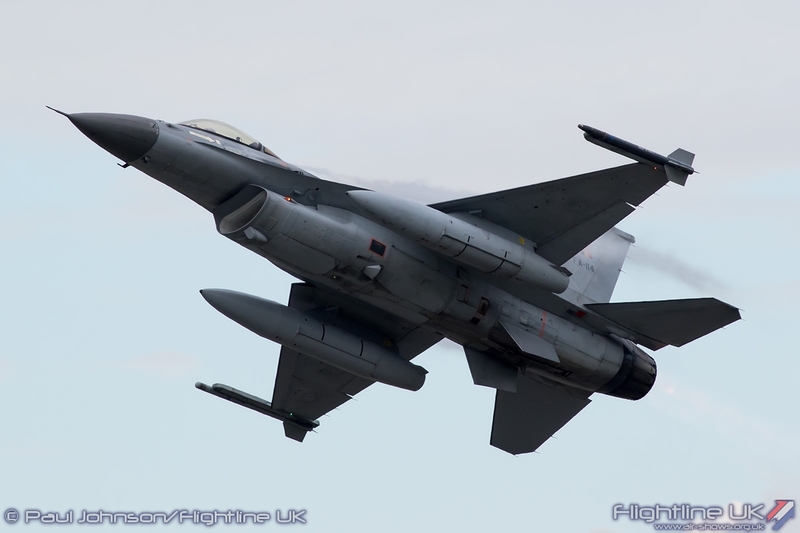 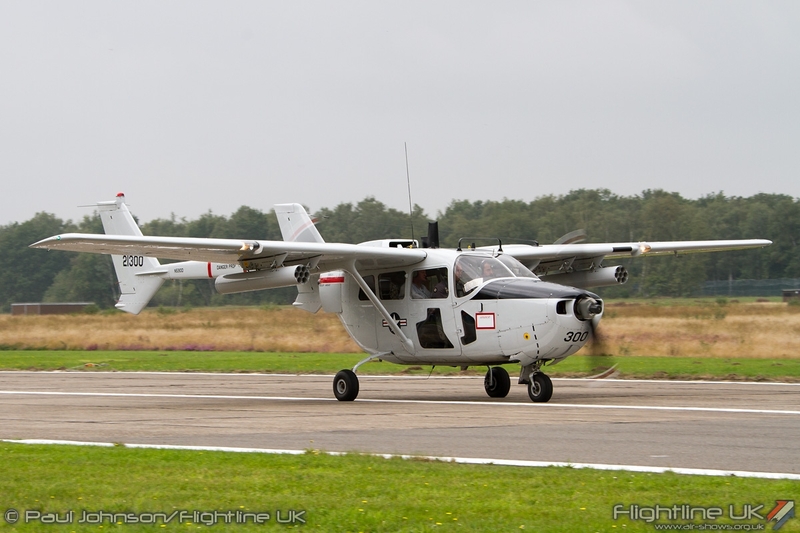 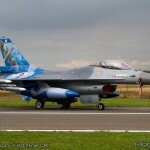 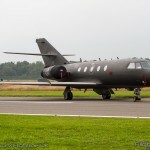 However for the second time, Kleine Brogel Air Force Base, where many of the Sanicole participants are based, hosted a “Spottersday” allowing the public to view up close many of the aircraft taking part, some of which flew during the course of the day. 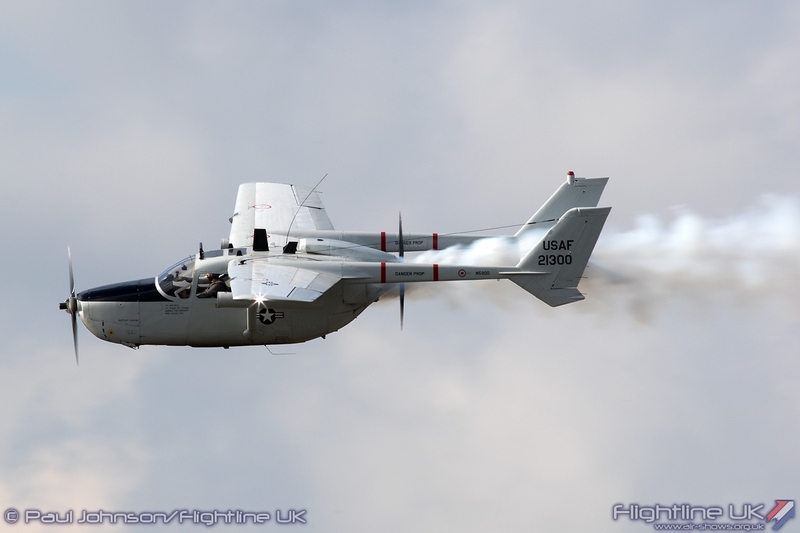 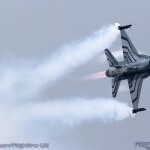 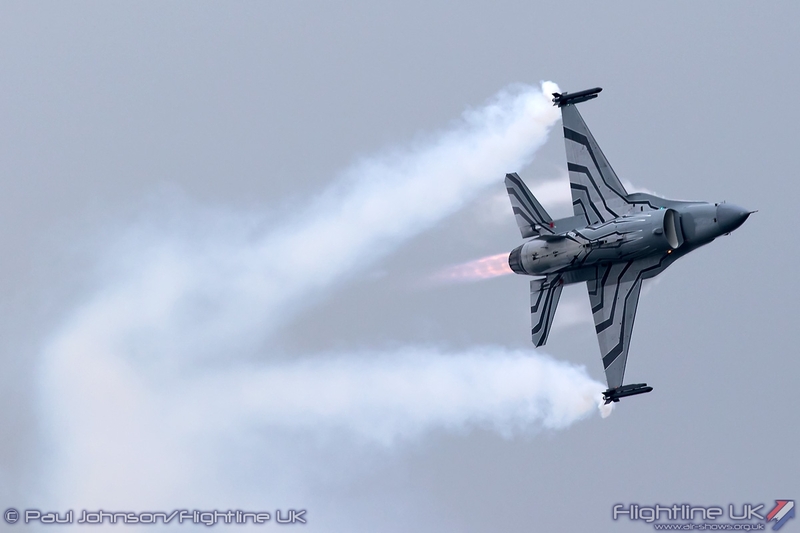 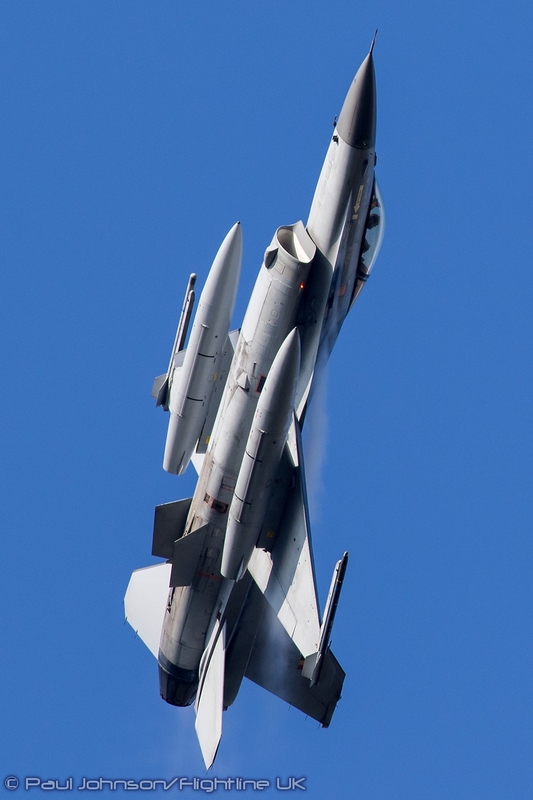 Kleine Brogel is no stranger to hosting events as in 2014 is hosted the major Air Force Days military airshow. 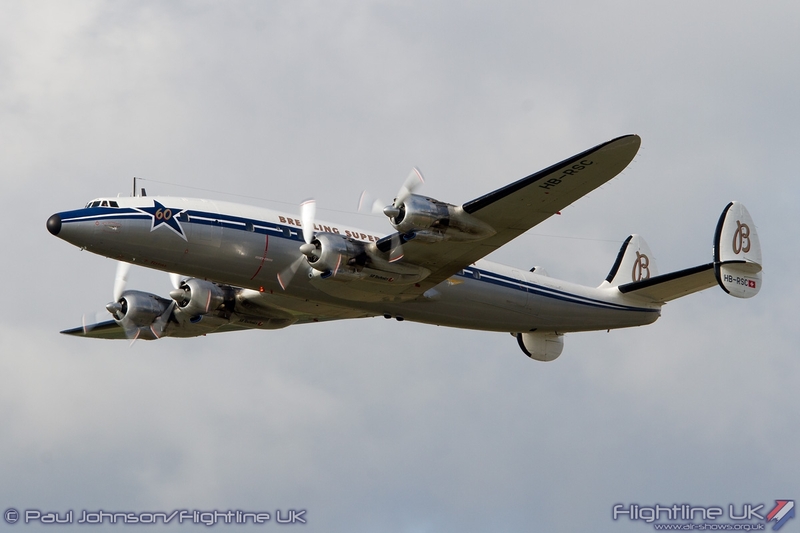 Saturday morning opened with an incredible sense of Deja-vu! 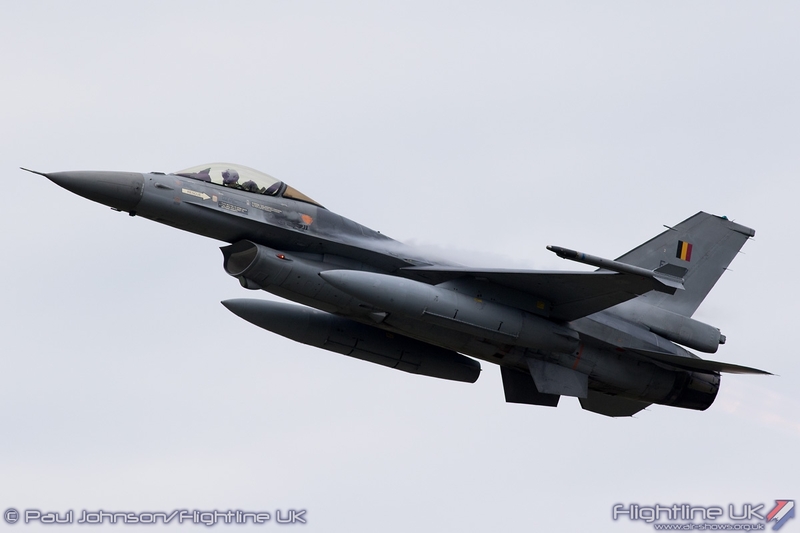 The public days of the Air Force Days in 2014 were affected by dense fog in the mornings and so it was for the opening few hours of the 2015 Spottersday. 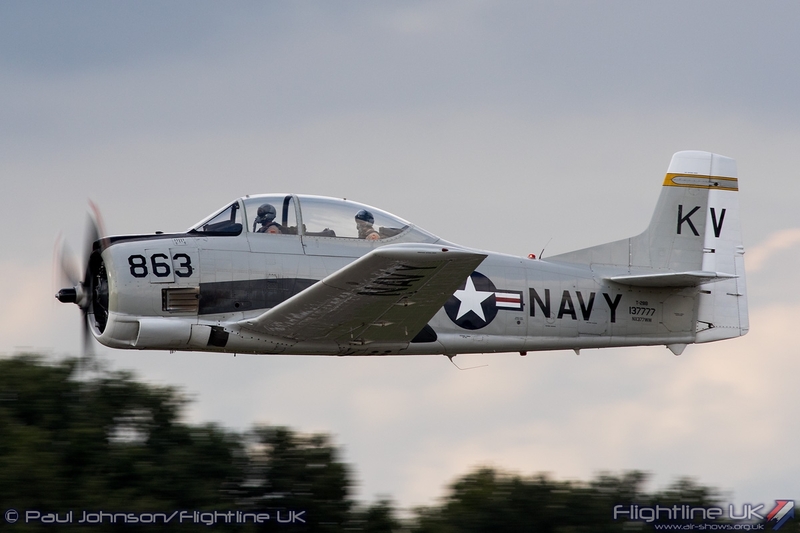 Surrounded by woodland, the fog hung on for most of the morning and the early part of the afternoon before it all cleared into a beautiful late summer day with blue skies and puffy white clouds. 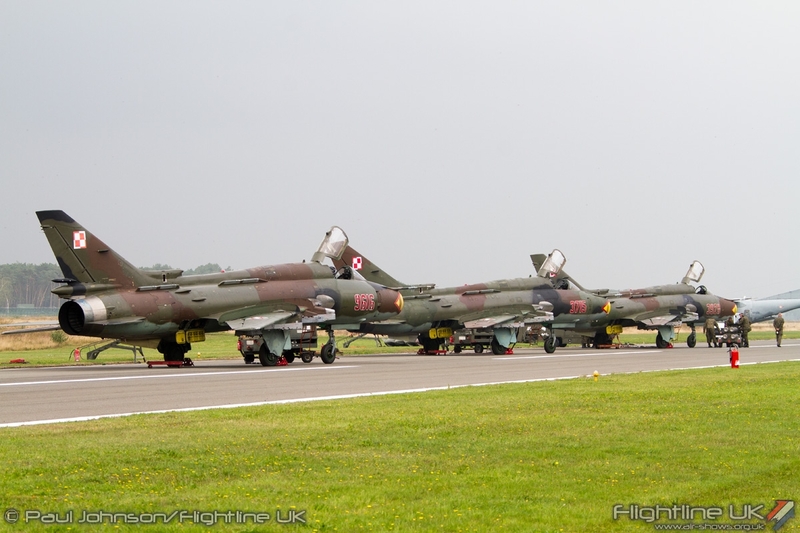 The layout for the Spottersday was much the same as for the Air Force days with the long parallel relief runway providing the parking area for the vast majority of visiting aircraft. 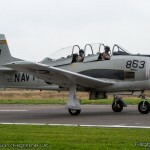 For a few, there was a small island between the taxyways to watch proceedings from too. 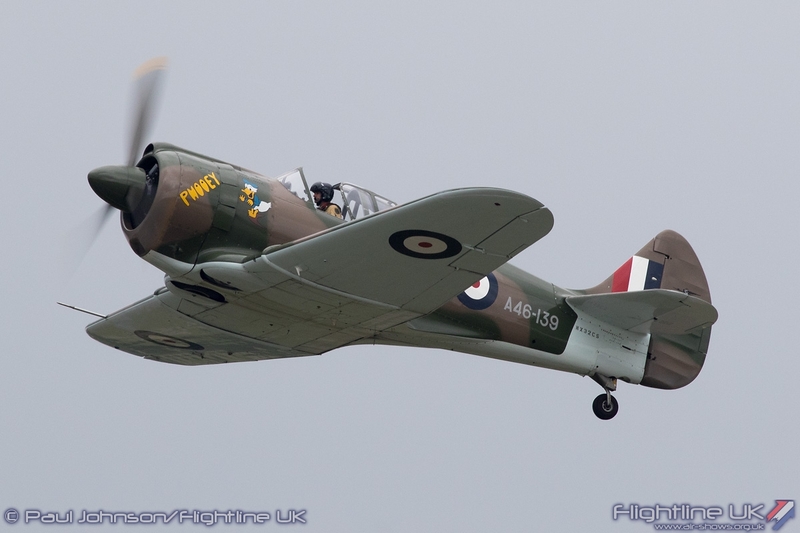 Despite being a low key event, there was also some catering and some trade stalls too, mainly from the various units based at KeeBee and those participating at the airshow so at least there was something to do as the fog cleared! 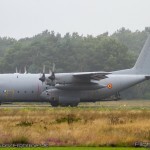 Breaking the silence during the morning was some Belgian Air Force aircraft. 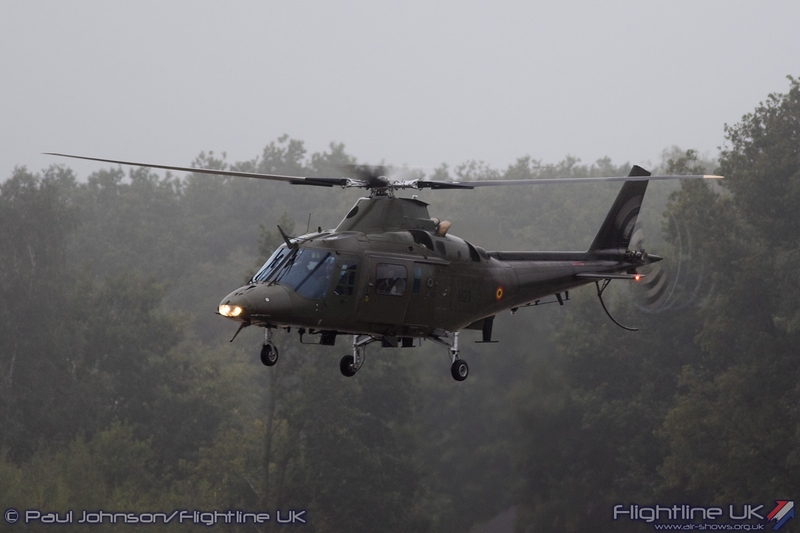 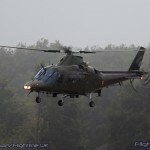 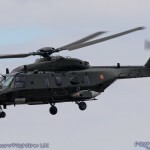 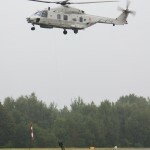 One of the Agusta A109BA helicopters participating at the airshow performed a quick fly-though and hover in the murk. 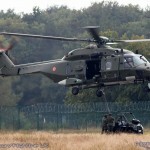 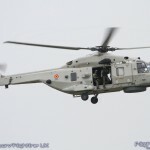 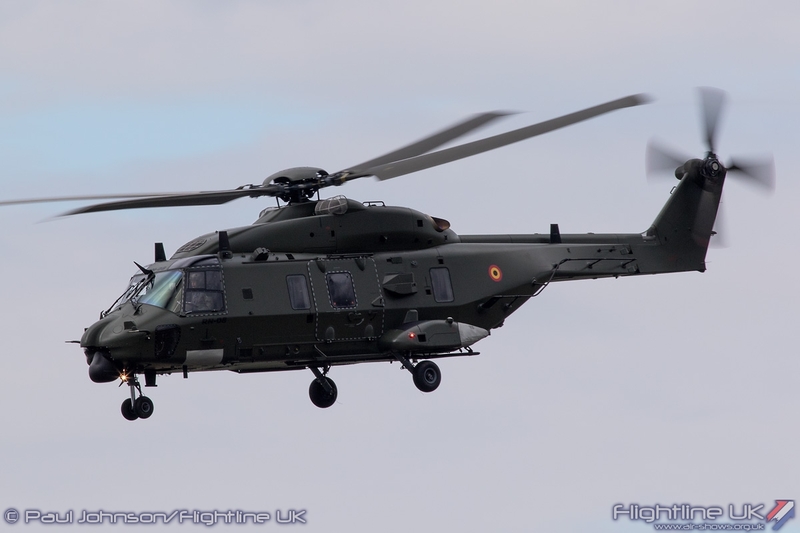 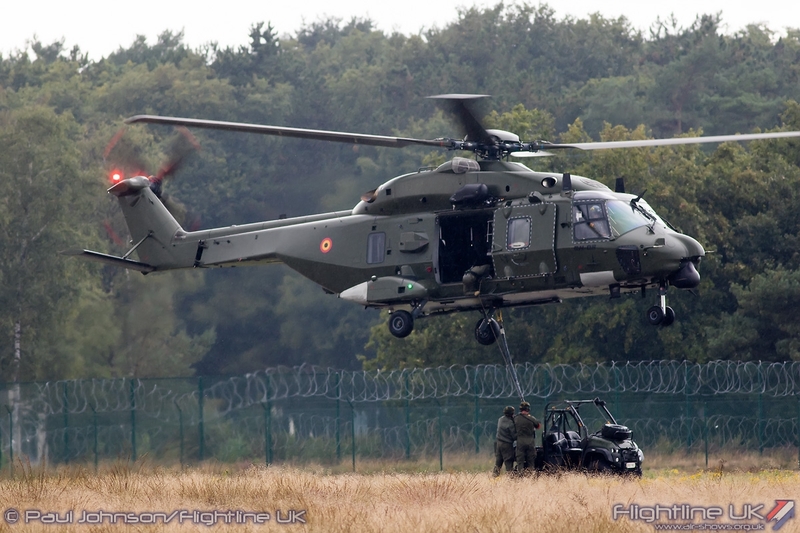 Further rotary action saw the Air Force demonstrate both of its variants of the NH Industries NH90. 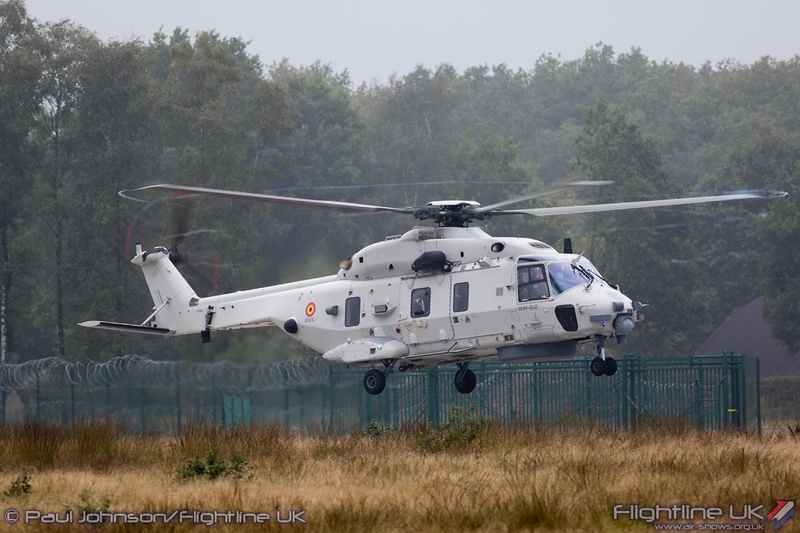 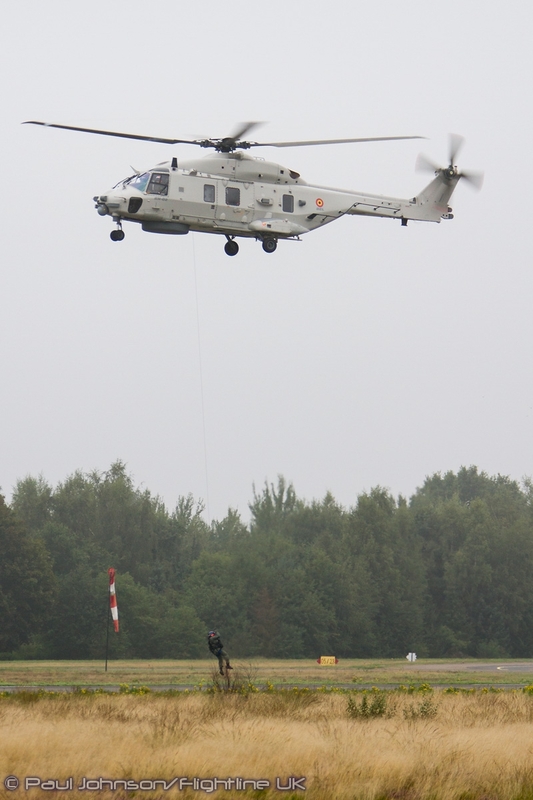 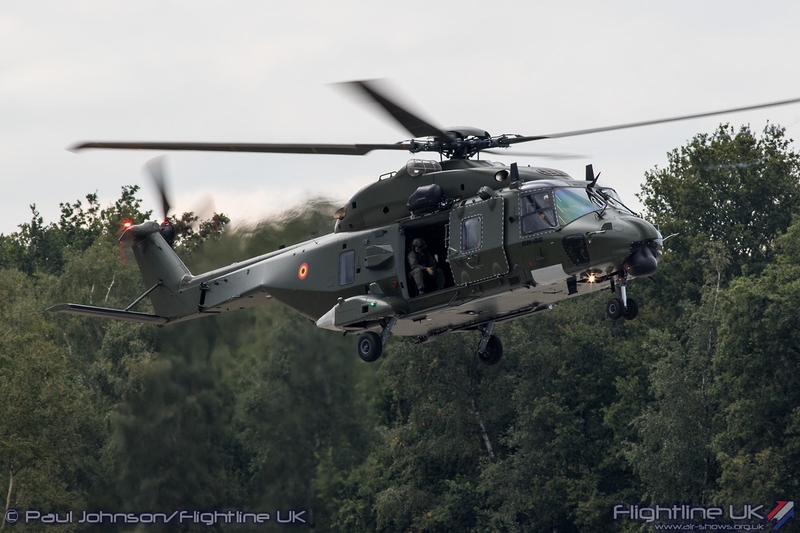 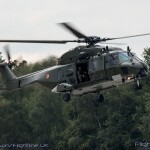 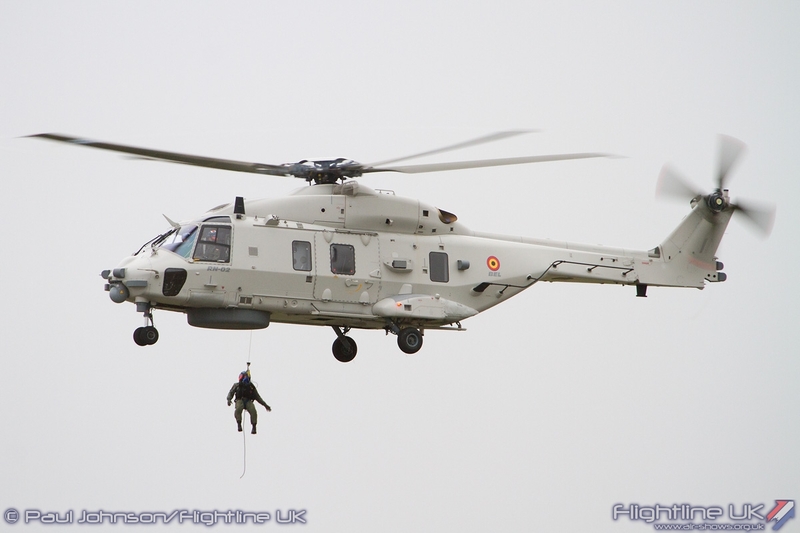 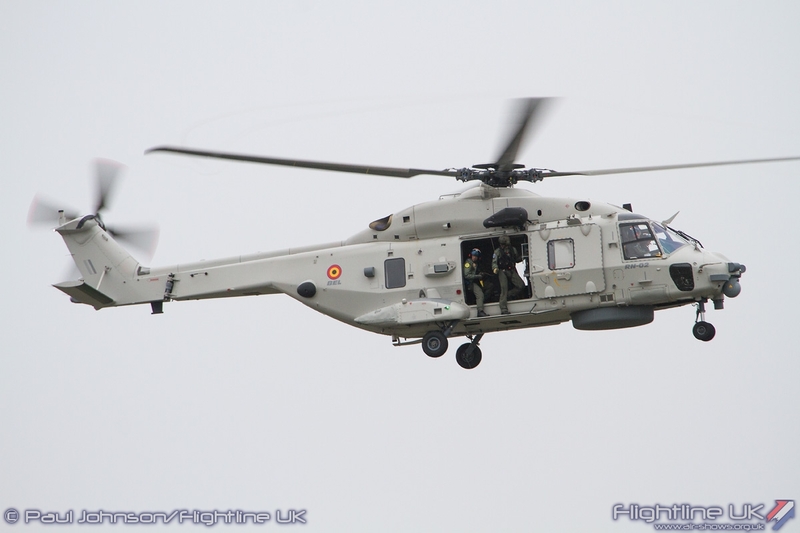 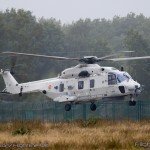 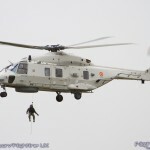 The very light grey coloured NH90NFH gave a Search and Rescue Demonstration while the fog still lingered in the trees while later as things brightened up the green NH90TTH gave a hoisting demonstration using a small all-terrain vehicle. 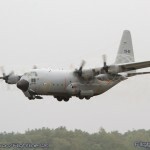 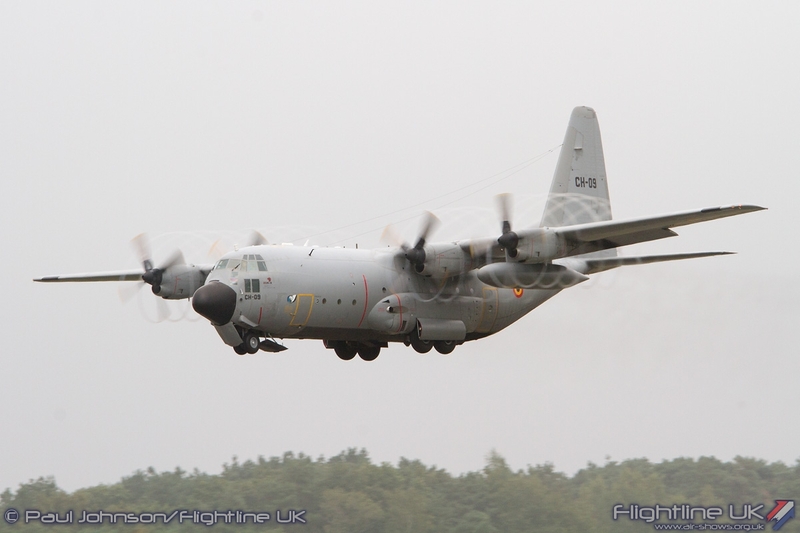 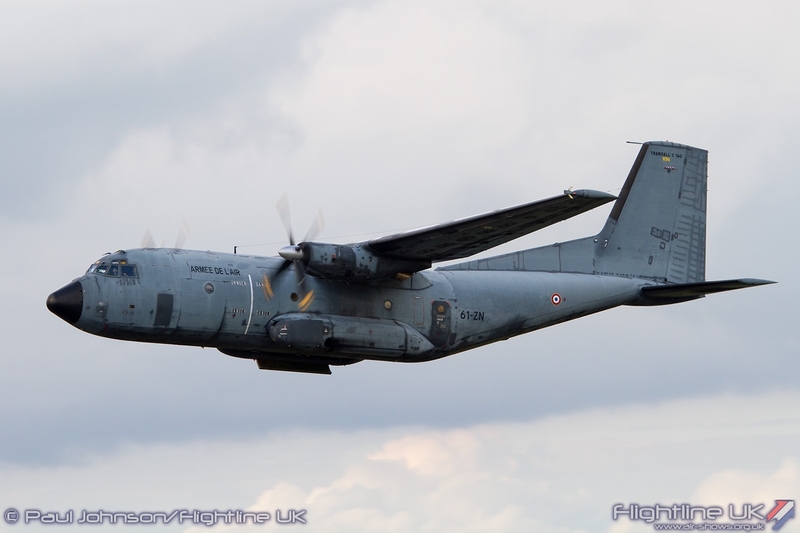 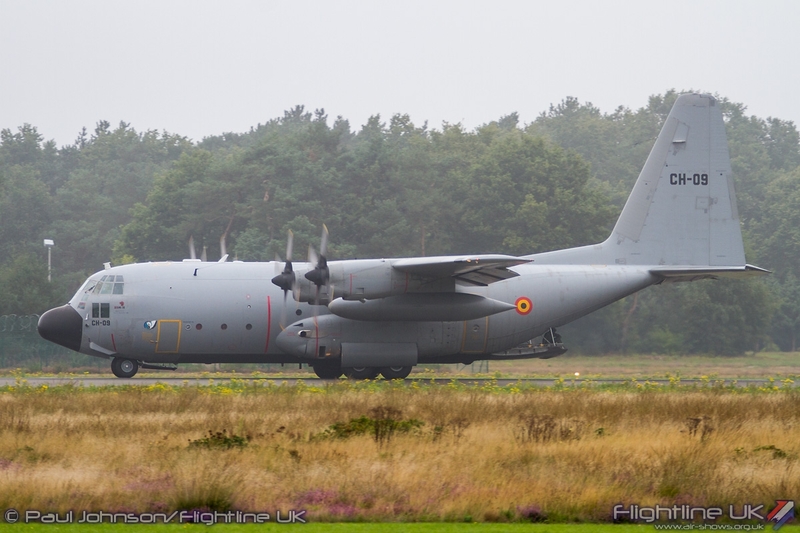 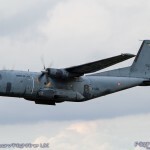 With the Fog keeping the airfield quiet early on, a C-130H Hercules from Melsbroek conducted a number of approaches and landings as the visibility slowly improved. 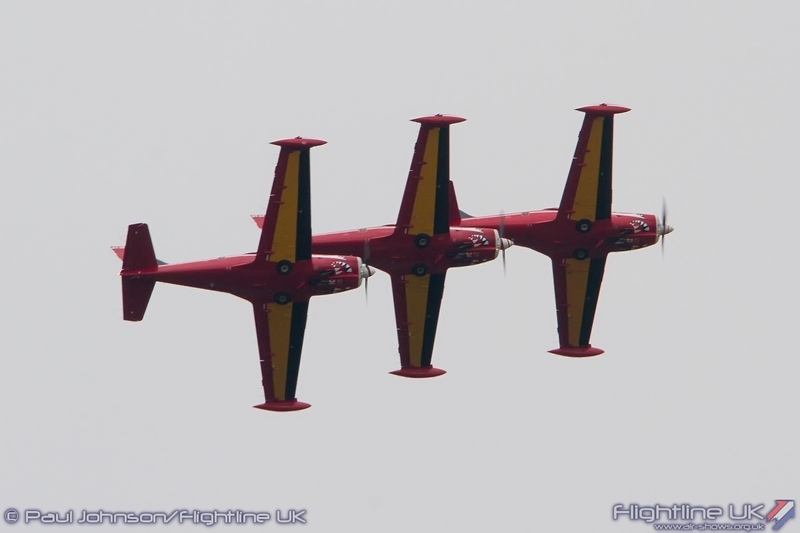 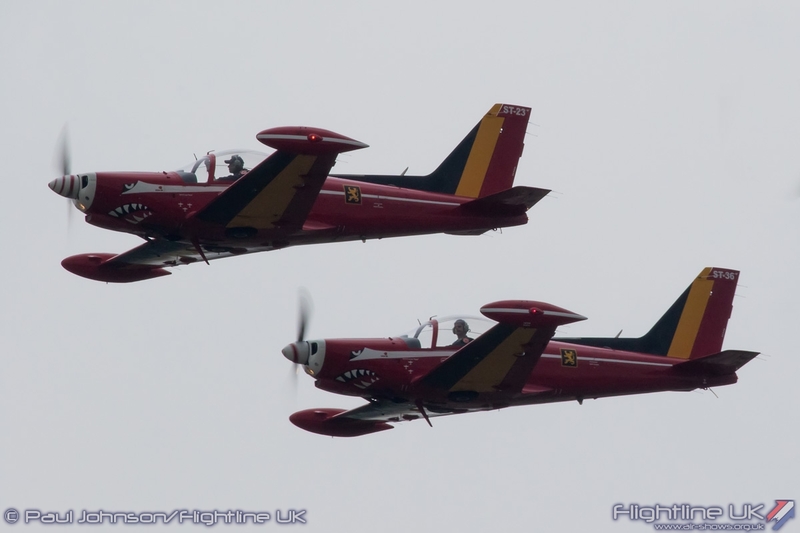 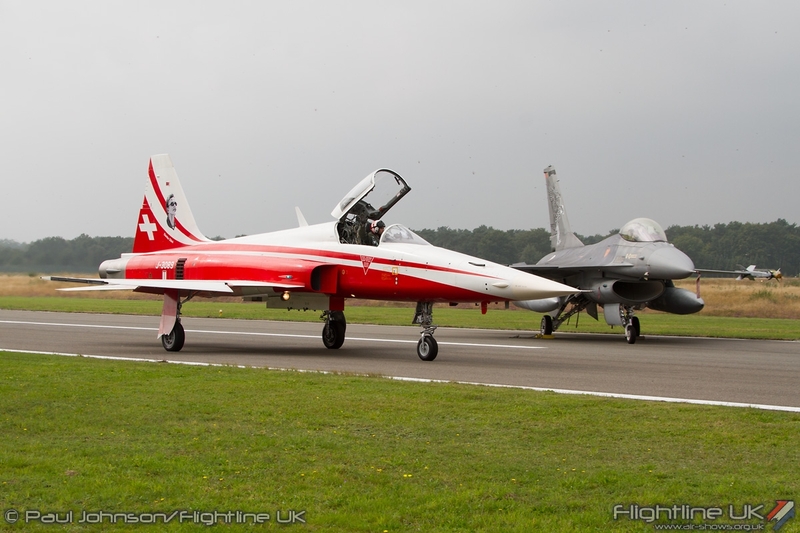 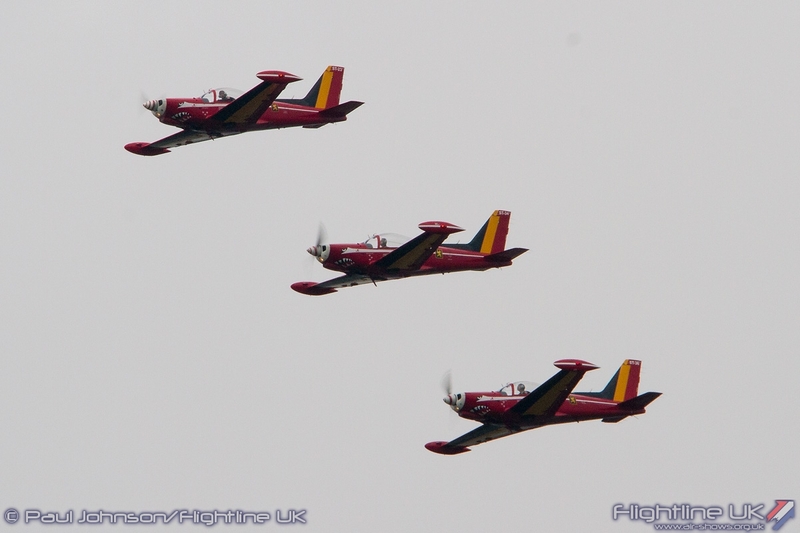 Despite the early clag, full displays also came from the Red Devils Formation Team flying a trio of SIAI-Marchetti SF260s and the Kleine Brogel based solo F-16AM Fighting Falcon. 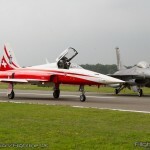 On static display only were some of Kleine Brogel’s special schemed F-16AM and F-16BM Fighting Falcons parked alongside one of their counterparts from the Portuguese Air Force. 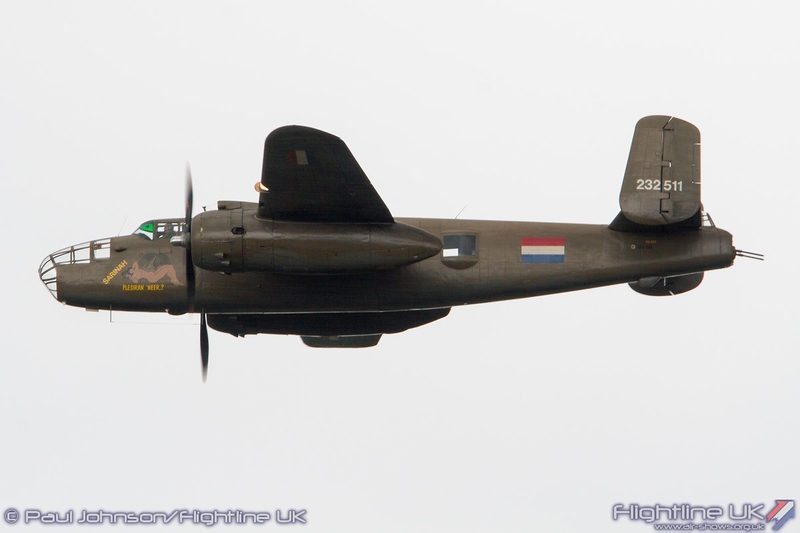 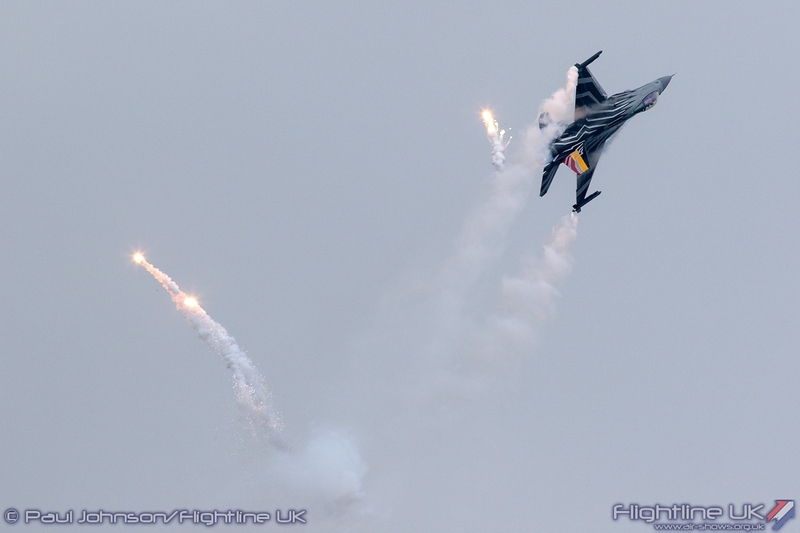 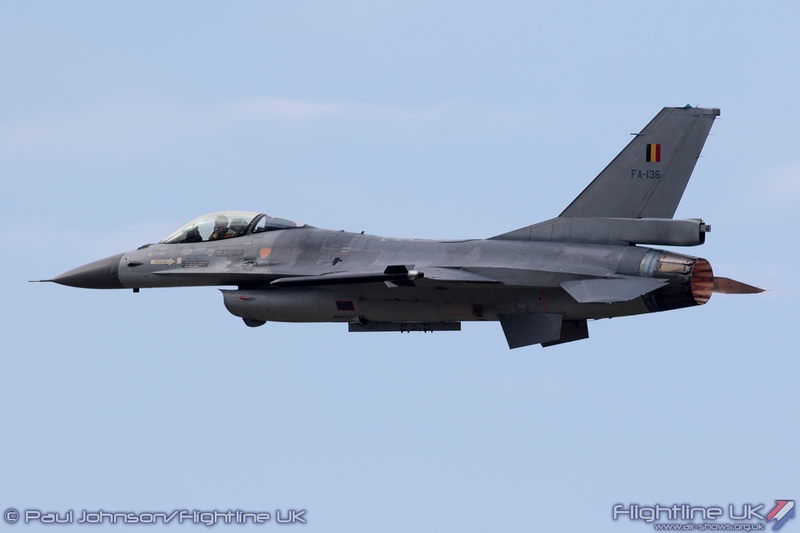 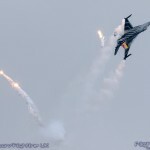 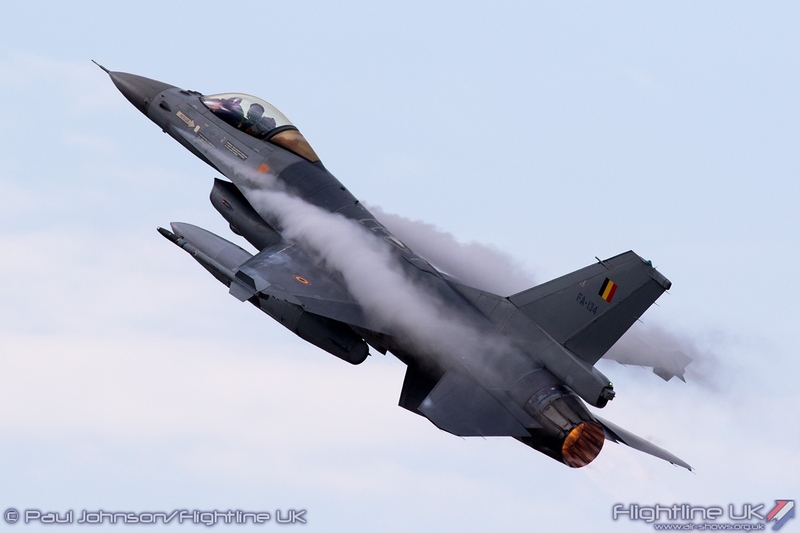 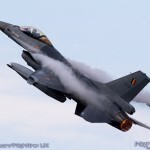 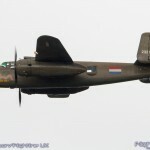 While it was only the Belgian Air Force that provided full air displays during the day, there was plenty of other action with movements associated with the Sanicole Airshow. 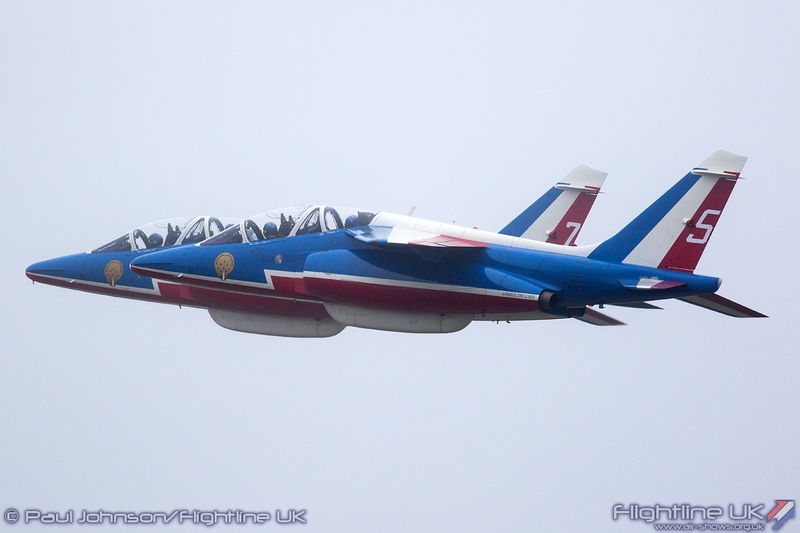 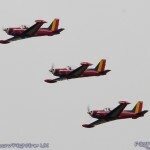 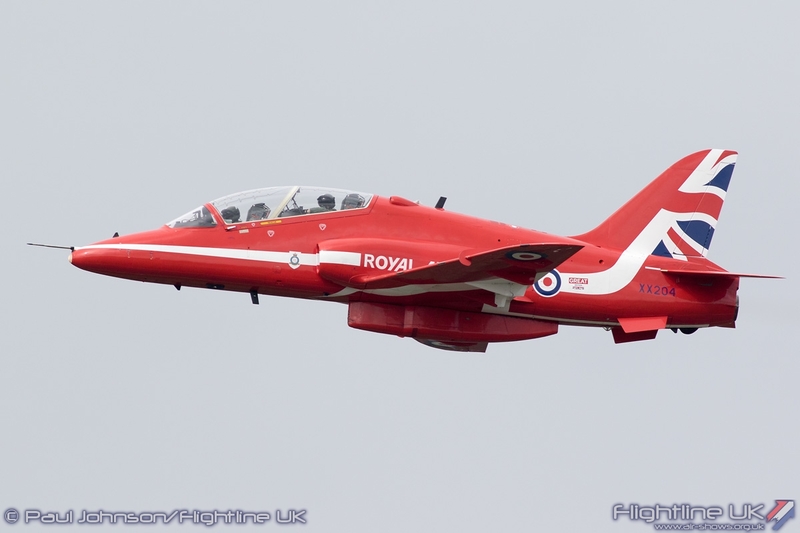 Both the Patrouille de France and Red Arrows departed during the morning to their other weekend engagements with the former also joined by a support C-160 Transall. 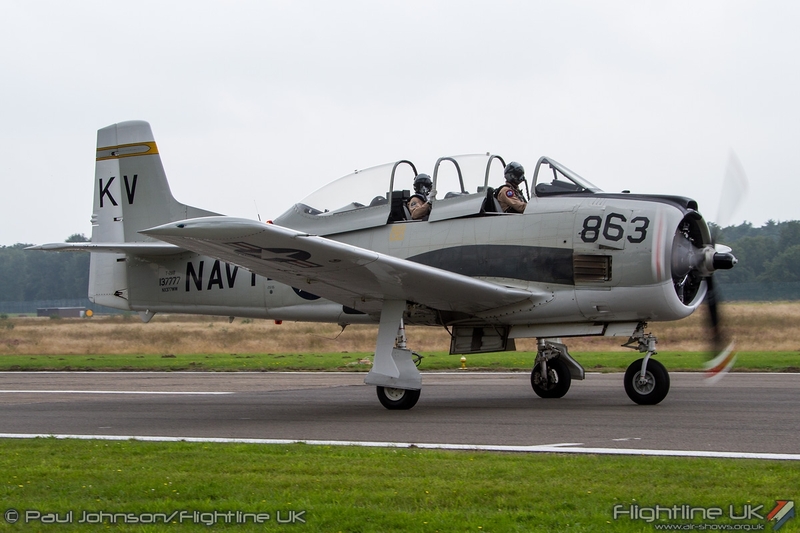 While much of the action was military, it was good to see some of the historic and civilian aircraft taking part over the weekend appear at the Spottersday. 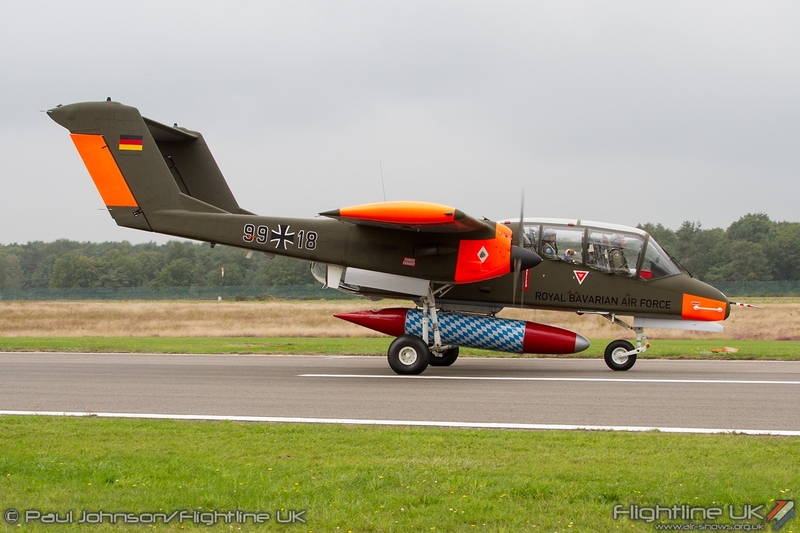 The Bronco Demo Team’s Rockwell OV-10B Bronco which was on static display at Sanicole dropped in for appearance alongside the Cessna O-2 Skymaster from the Postbellum Foundation, the North American T-28 Trojan flown by Kris van den Bergh and the Commonwealth Aircraft Corporation CAC-13 Boomerang recently brought into Europe by Remko Sijben. 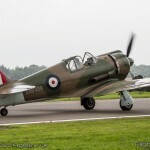 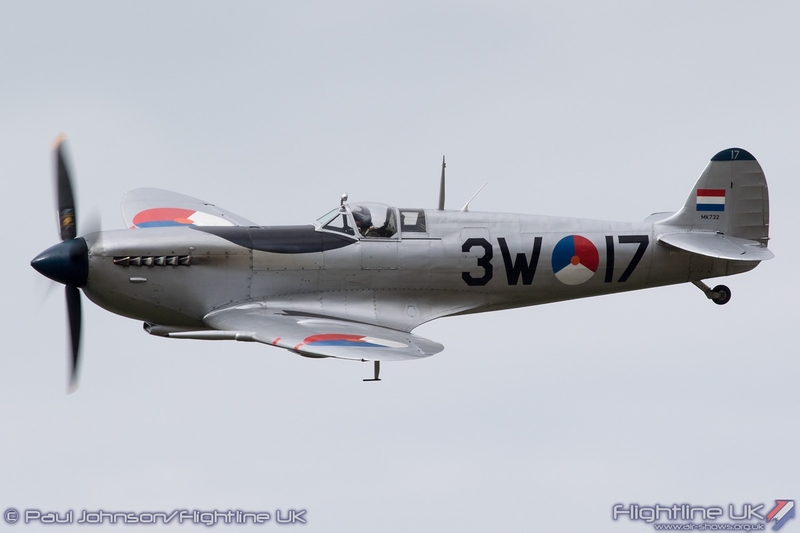 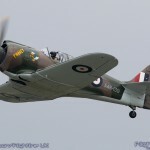 Though they didn’t land, the Royal Netherlands Air Force Historic Flight North American TB-25N Mitchell and Supermarine Spitfire IX performed some flypasts while holding for their rehearsals over Sanicole. 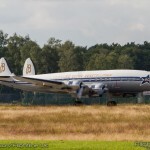 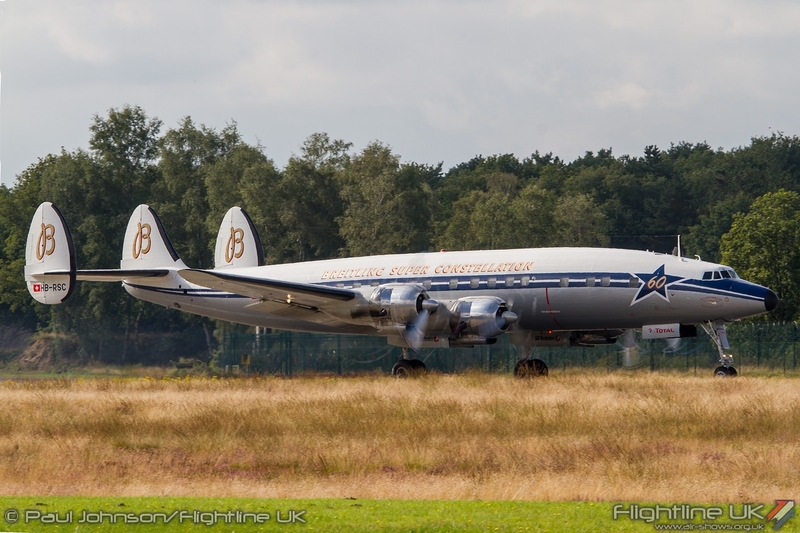 Perhaps the most majestic of all the historic aircraft at Kleine Brogel however was the Lockheed Super Constellation of the Super Constellation Flyers. 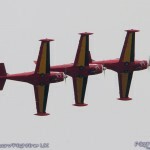 Sadly technical problems prevent it rehearsing and performing for the Sanicole Sunset Show. 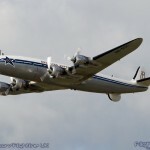 However, the hard-working team behind the classic prop-liner worked throughout Friday and into Saturday to prepare the aircraft for the main show on Sunday. 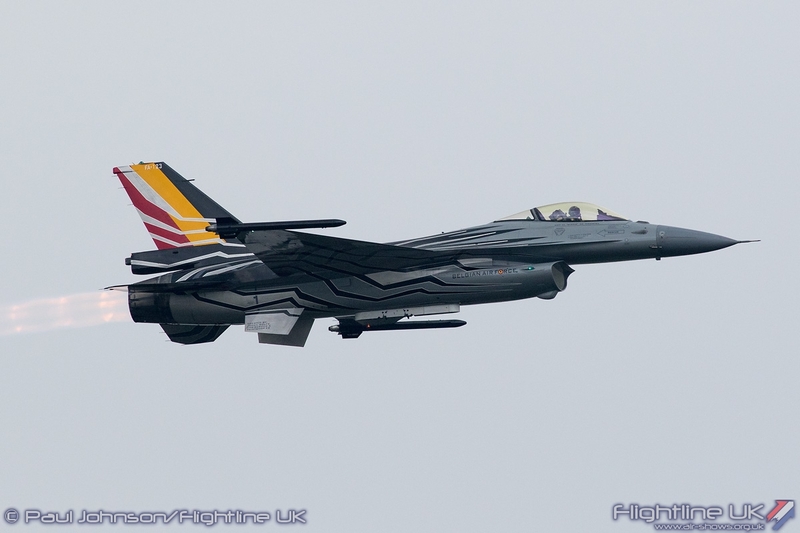 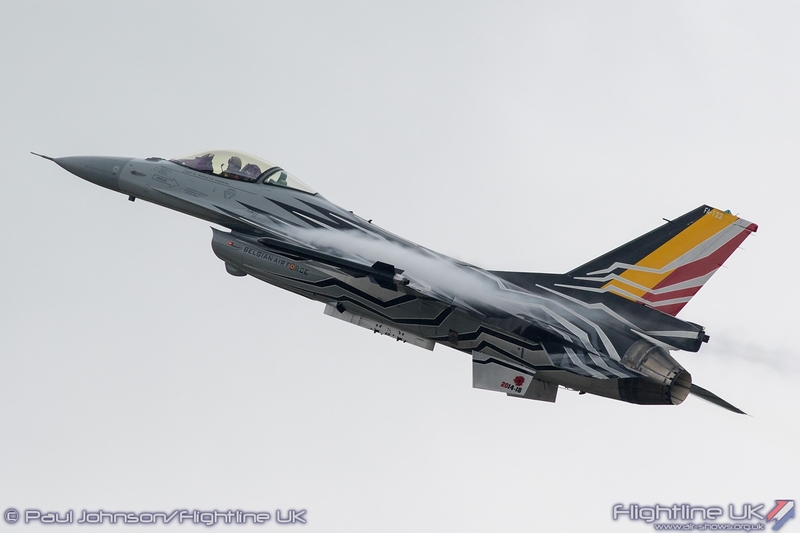 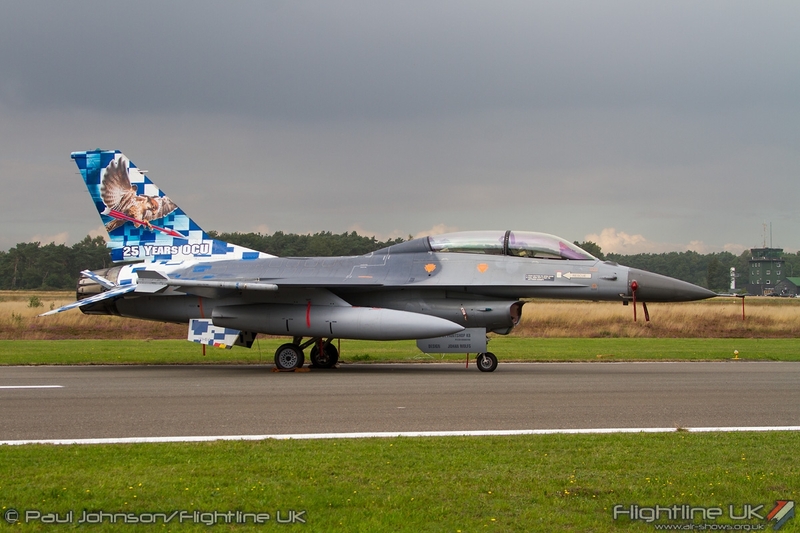 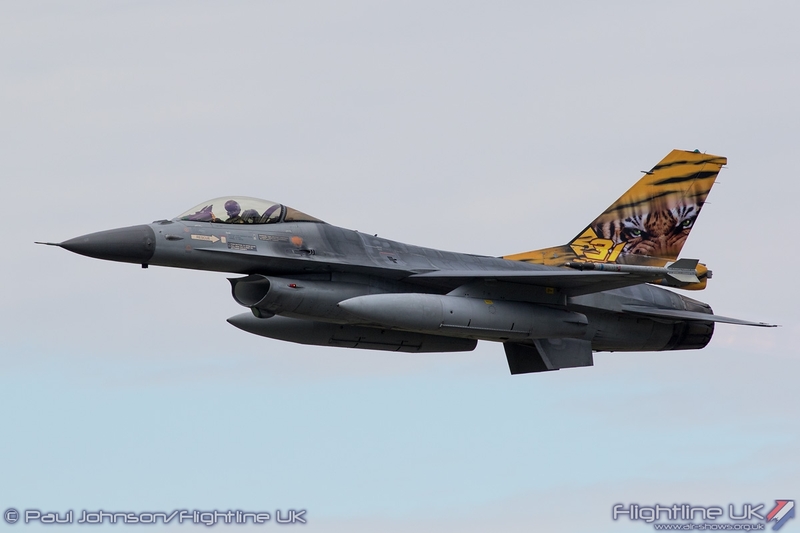 That was an added bonus for visitors to the Spottersday as Belgian display rules mean all displays acts have to rehearse so visitors were treated to a take-off and landing. 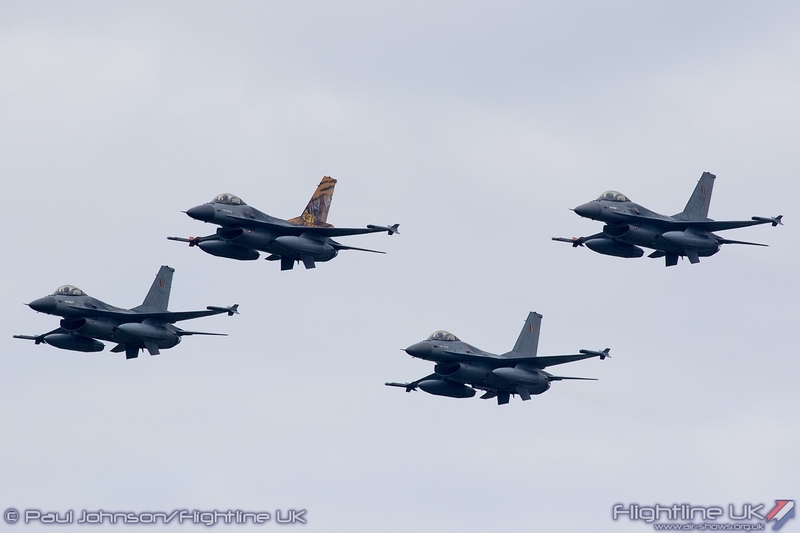 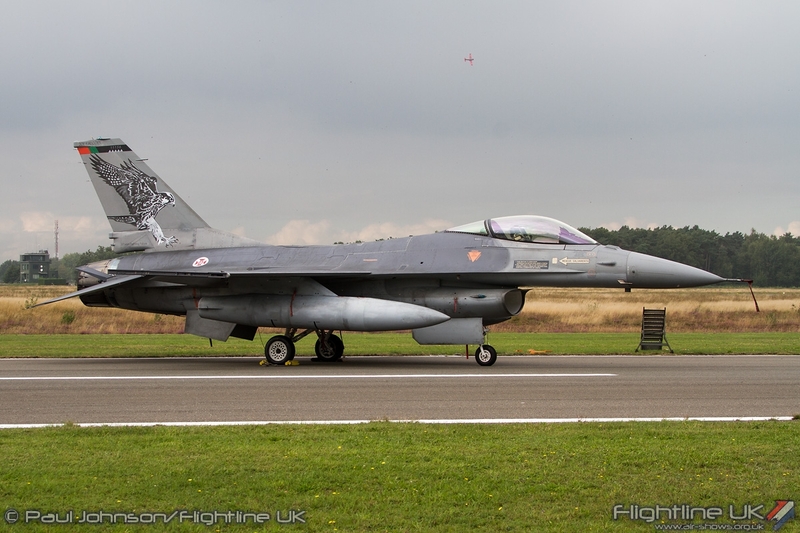 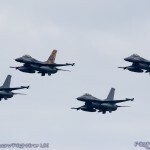 Though they didn’t display over Kleine Brogel, one of the stand-out moments of the afternoon was a stream take-off by four F-16AM Fighting Falcons of 31 Tiger Squadron. 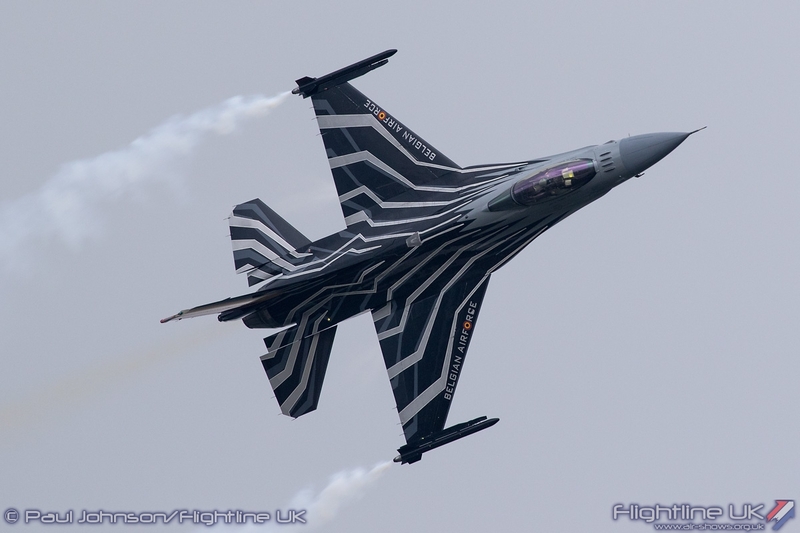 The fourship are a regular feature of the Sanicole Airshow calling themselves The Thundertigers presenting a role demonstration of the F-16. 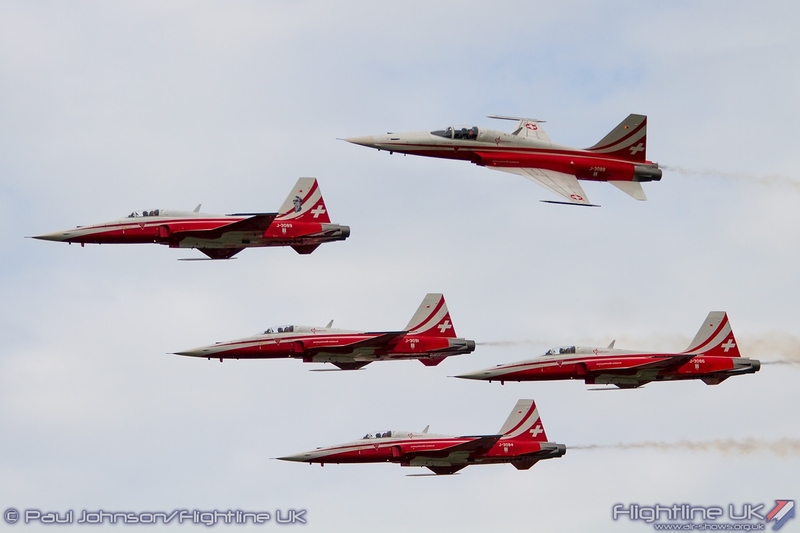 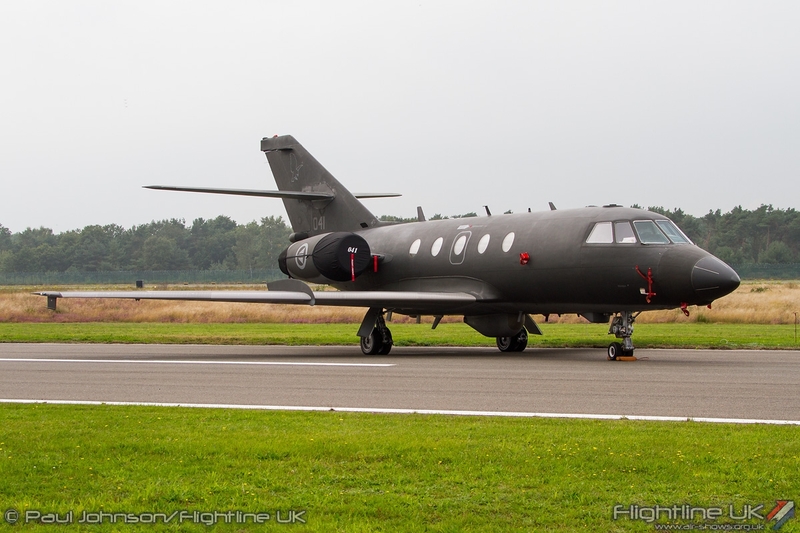 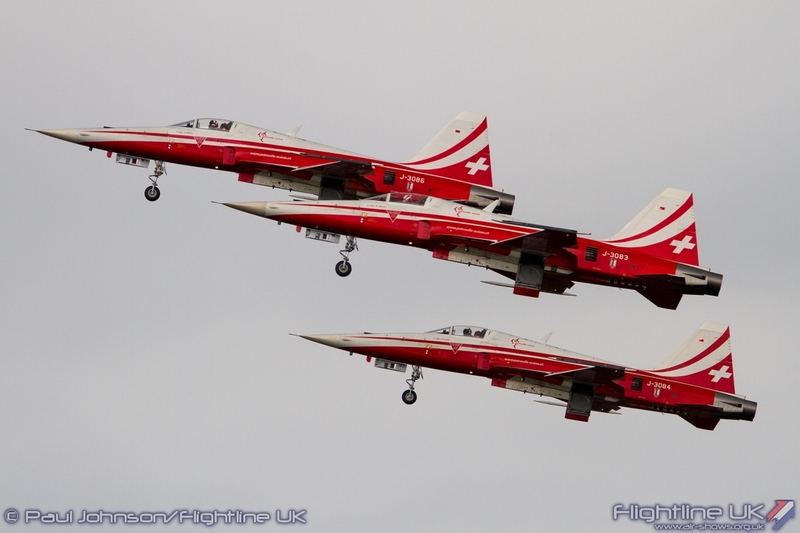 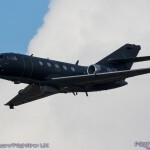 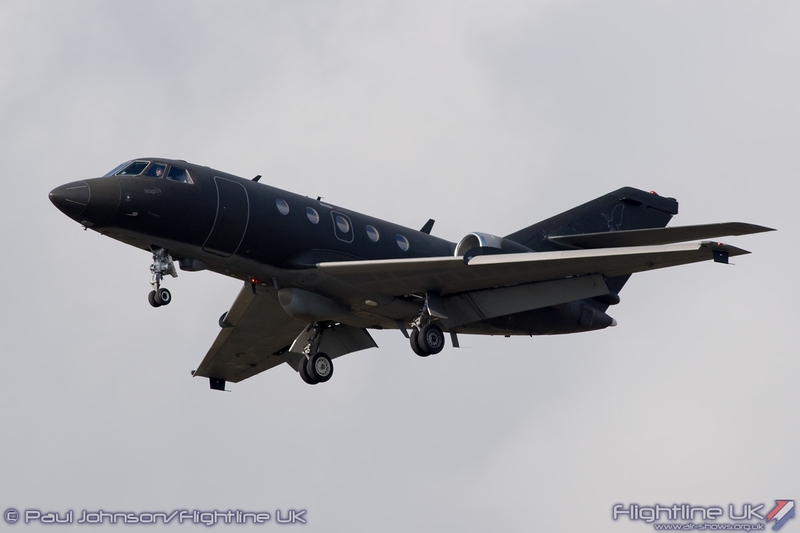 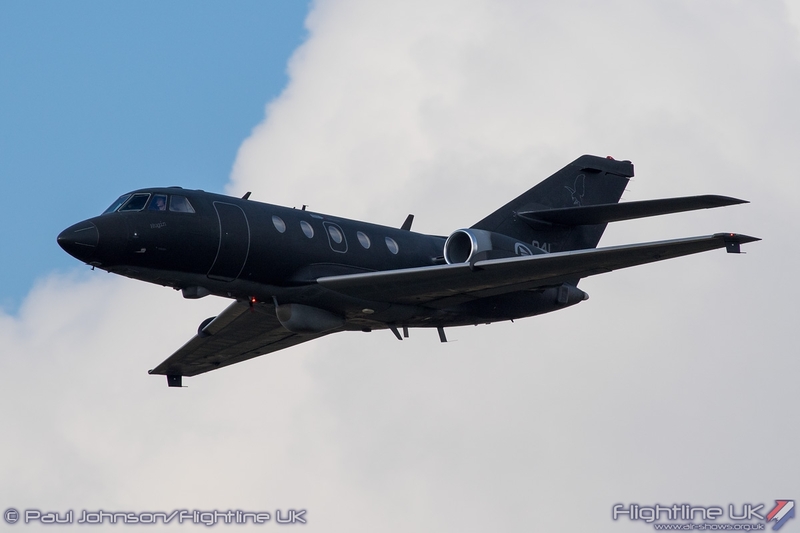 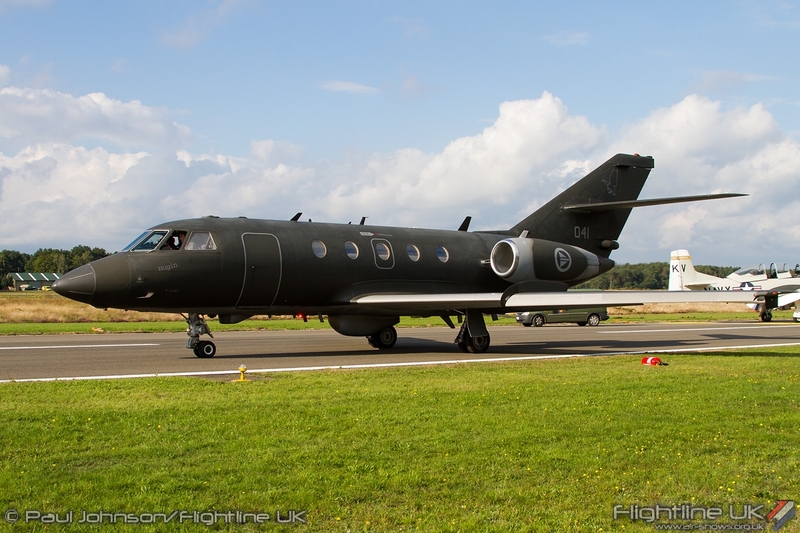 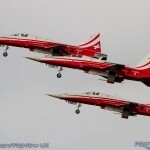 As well as the F-16s, the Royal Norwegian Air Force Dassault Falcon 20ECM and the Swiss Air Force Patrouille Suisse also provided action as they departed for and returned from rehearsals at Sanicole. 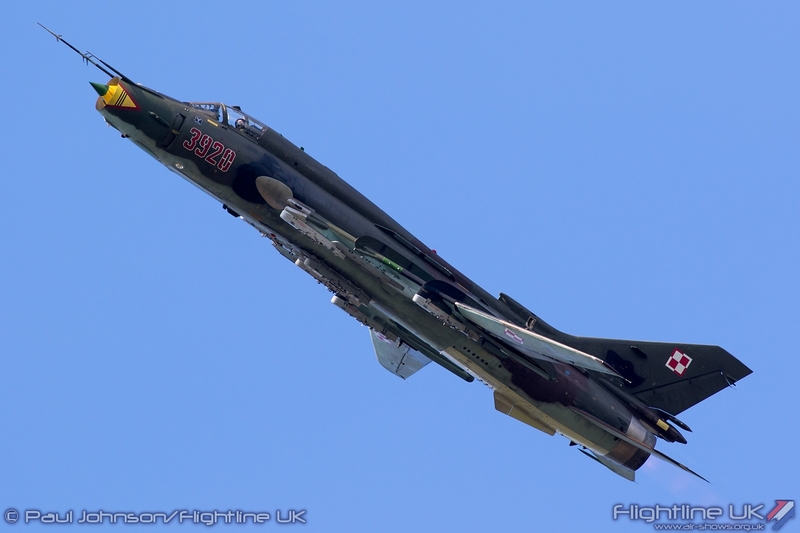 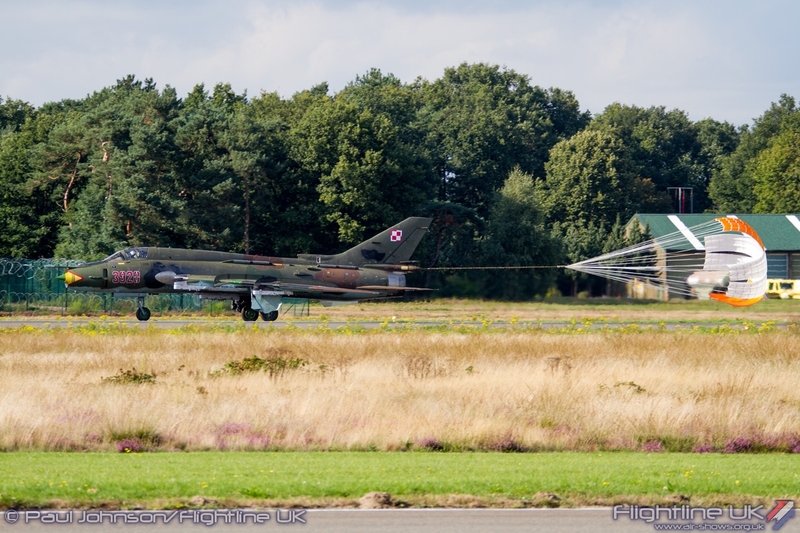 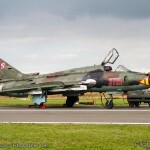 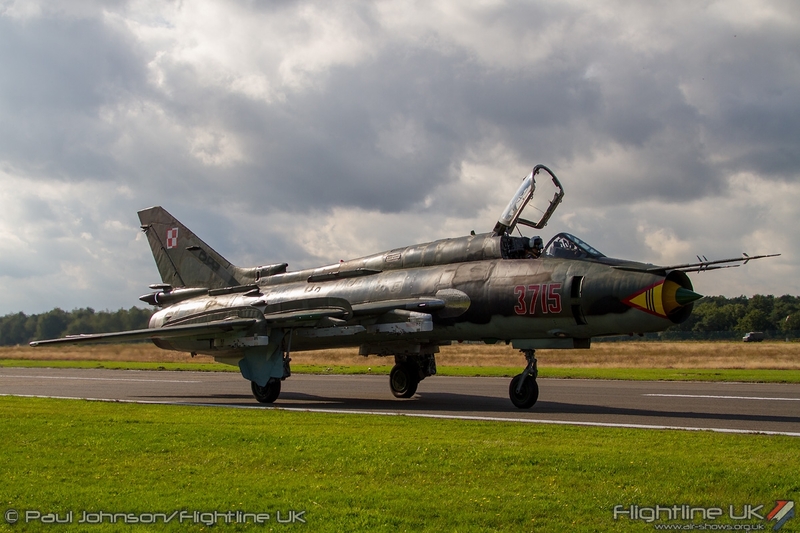 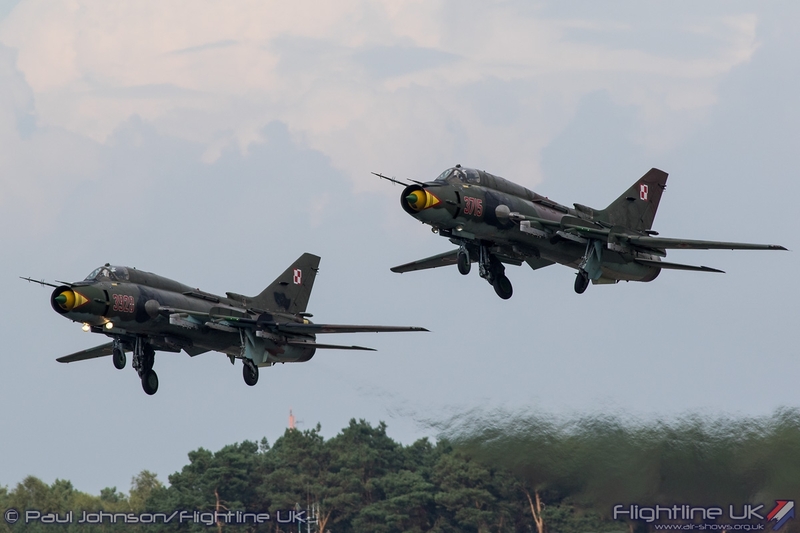 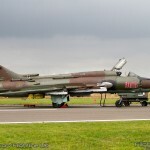 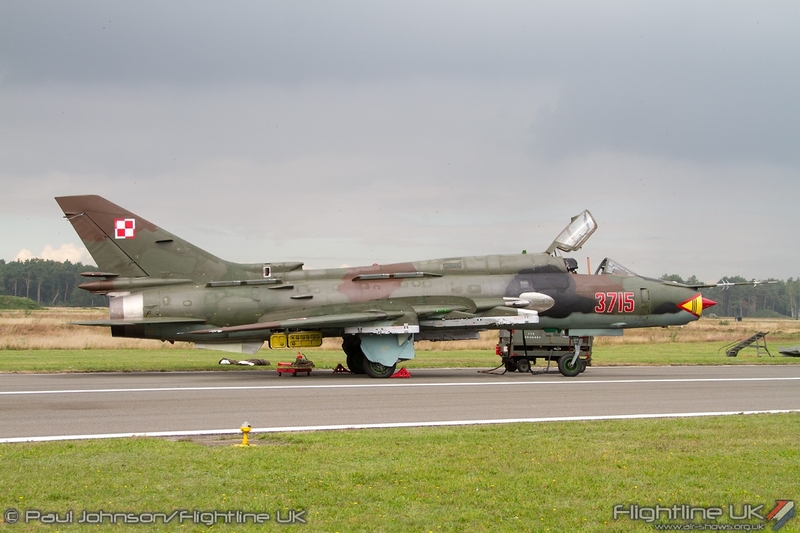 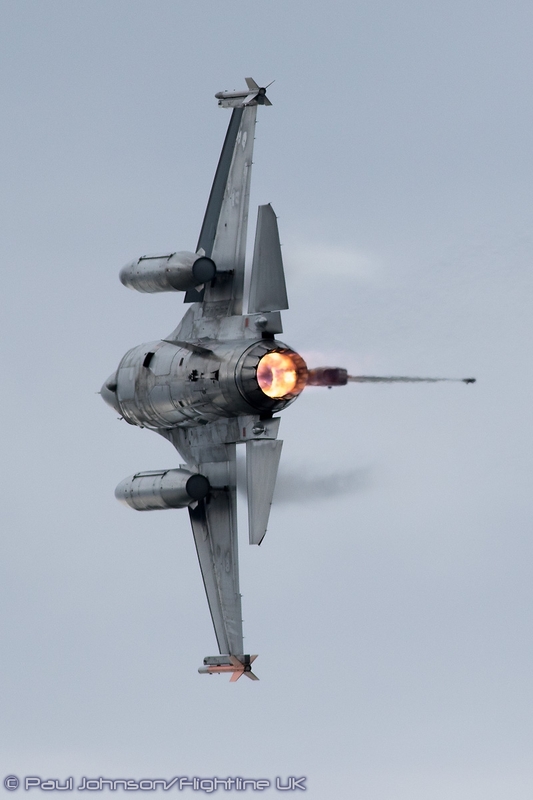 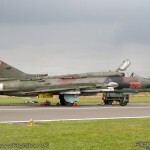 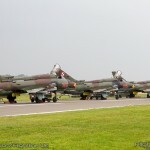 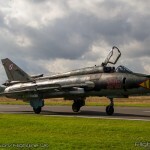 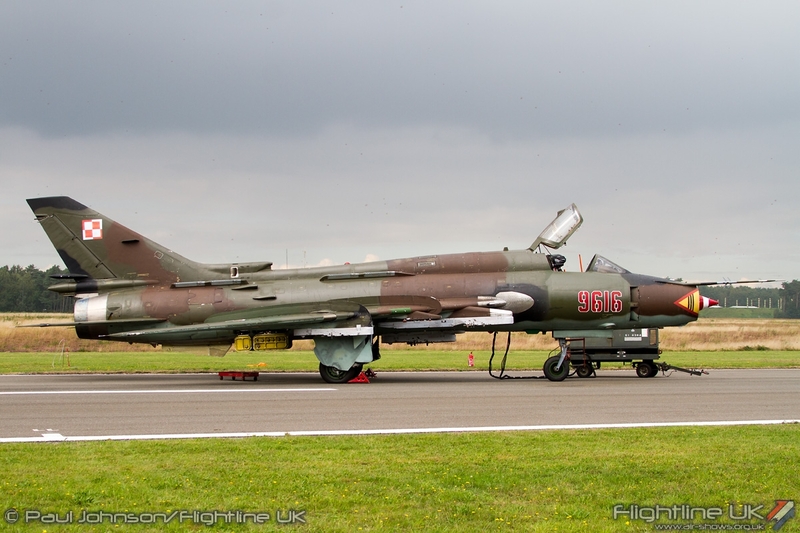 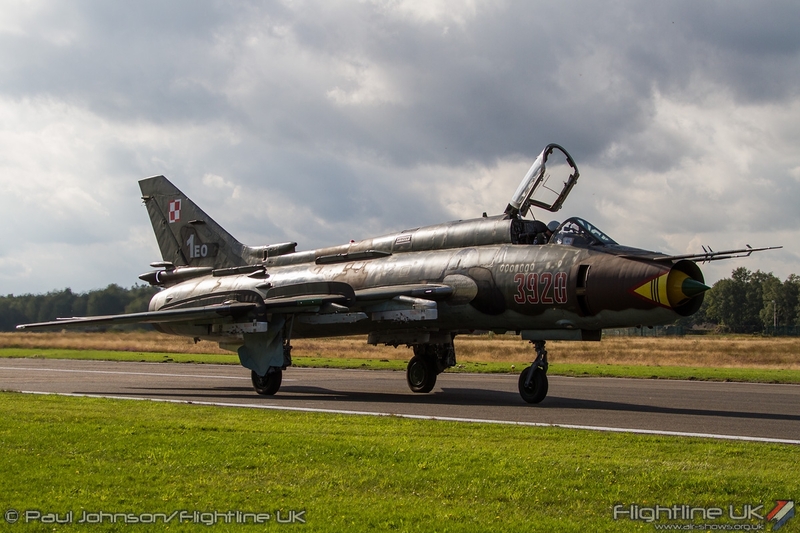 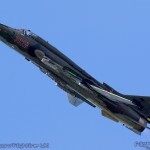 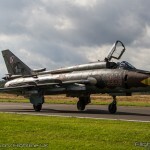 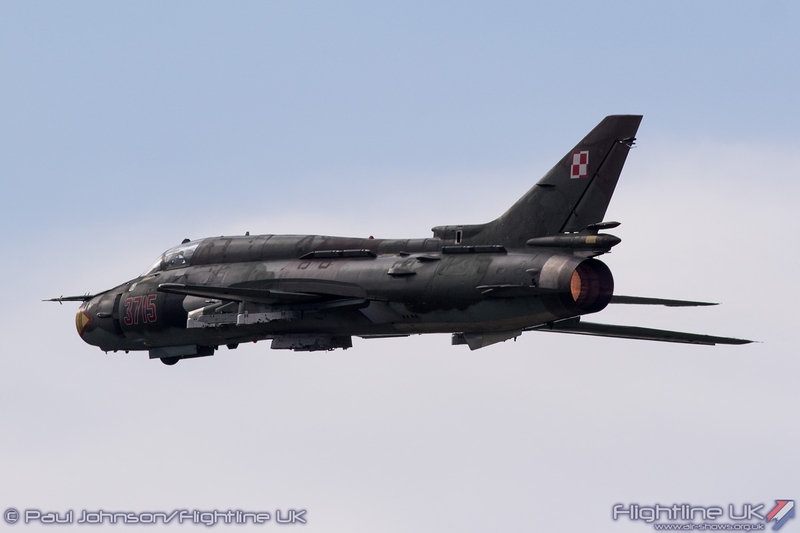 Stars of the day however were the Polish Air Force Sukhoi Su-22M-4 Fitter-Ks. 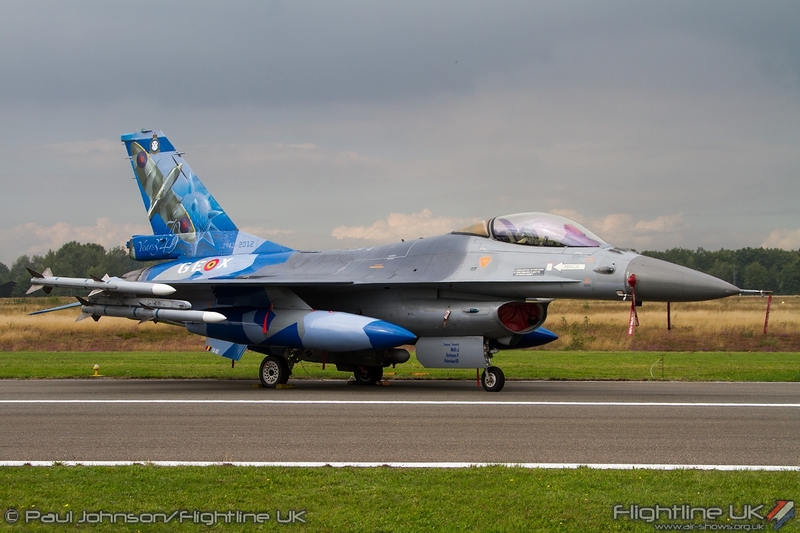 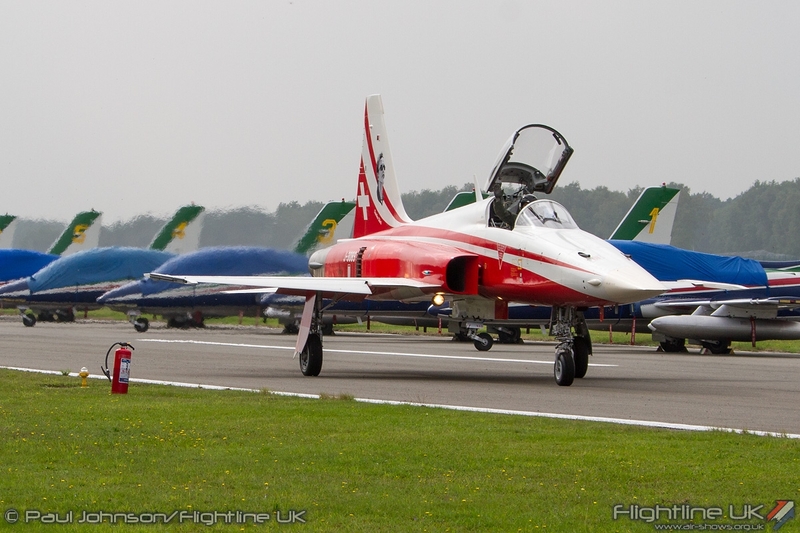 It had been hoped they would be joined by the MiG-29 solo but sadly that was cancelled very late on. 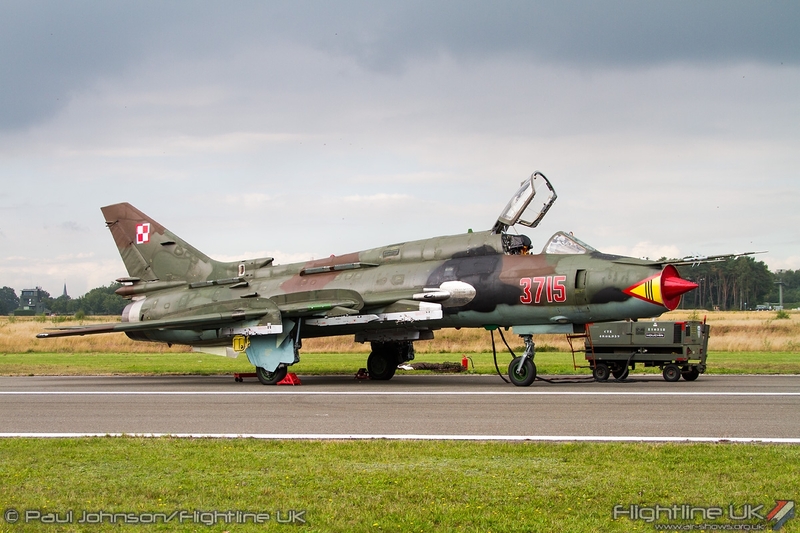 The Poles brought three of these fearsome cold war warriors to Belgium. 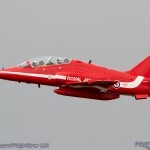 It was great see these aircraft close up as two were prepared for the rehearsal as well as see them fly with a lovely break to land over the top as they returned. 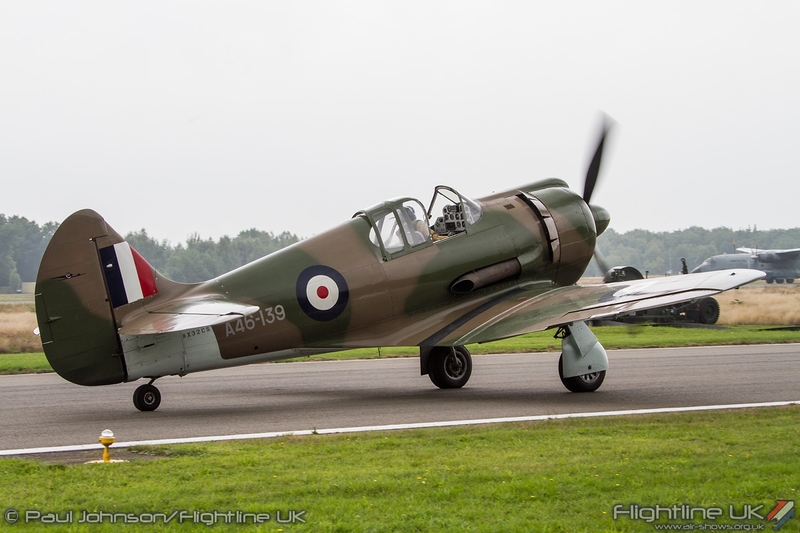 The Spotterdays day may have been somewhat thwarted by the weather early on in the day, but it was a great addition to the Sanicole weekend experience. 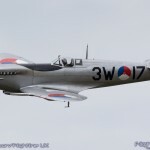 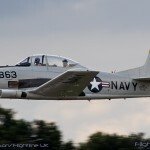 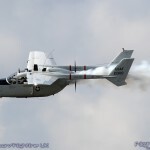 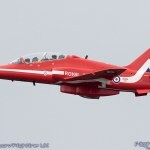 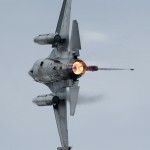 Unlike the main airshow, it was a much more relaxed affair that offered the chance to see a different side of the event.